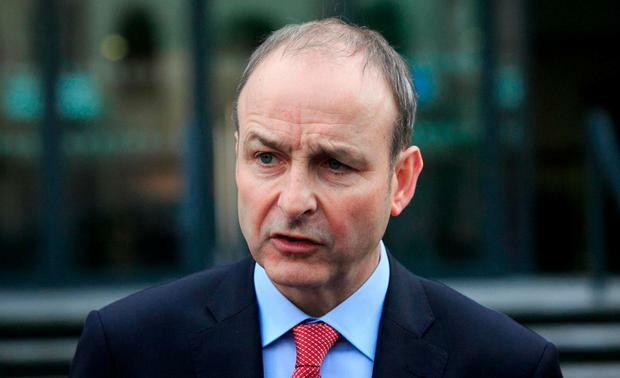 FIANNA Fáil leader Micheál Martin has warned that the government shouldn’t try to “muzzle” the Public Accounts Committee in its probe of the cervical screening scandal. And the Dáil also heard calls for advice given to Taoiseach Leo Varadkar when he was health minister not to proceed with introducing a policy of mandatory disclosure in 2016 to be published. Mr Martin was speaking during Leaders’ Questions in the Dáil where he said that the Taoiseach told Six One news last week that he didn’t think the Public Accounts Committee (PAC) was the place to examine the screening controversy. Education minister Richard Burton was standing in for Mr Varadkar as he is travelling to a meeting or European leaders. Mr Martin that when the issue of women who had used the cervical screening service not being informed of the results of the audit of their smear tests, he used a phrase that it appeared “everybody knew but nobody knew”. He said documents published by the Department of Health last night showing 2016 communications between the HSE and senior officials in the Department about the audit made his words “ring very true”. One of the Department of Health officials who had been informed at the time was chief medical officer Dr Tony Holohan. Mr Burton expressed his “personal shock and sympathy” to the women caught up in the cervical screening scandal and insisted the government had taken “swift action” in response. This included setting up a scoping inquiry by Dr Gabriel Scally. He reiterated that the information on the cervical screening audit sent to the Department of Health in 2016 never came to the attention of either Mr Varadkar or his successor as minister Simon Harris. He said the government is in the process of bringing in legislation for mandatory disclosure by doctors to patients in serious incidents. Mr Martin said it’s “very important” that the government “doesn’t try to muzzle a key committee of the house”. He said that the controversial HSE memos on the cervical screening audit wouldn’t have emerged if it hadn’t been for the work of the Dáil’s Public Accounts Committee (PAC). Mr Bruton said that Mr Harris will make available any documents required by Dáil committees. He also said: “I fully recognise the rights of committees”. He said it is also important to take into account Dr Scally’s concern that individuals be needs to speak to in relation to his scoping inquiry are being distracted by committee appearances and the need to prepare for those. Social Democrats TD Róisín Shortall also asked about the cervical screening issue. She said it's "regrettable and unsatisfactory" that neither Mr Varadkar or Mr Harris were present in the Dáil.